On January 30, 1915, a select few of Washington’s high society came out for the wedding of Edward Motely Pickman and Hester Marion Chanler. The two married in an intimate ceremony at the Meridan Hill home of Mr. Henry White, a former Ambassador to France, and his wife Margaret “Daisy” Stuyvesant Rutherford, a prominent New York socialite. (The Whites were distant relatives but close friends of Hester’s family.) The day before, Washington’s movers and shakers celebrated the young couple at the exclusive Alibi club where membership rolls included presidents, senators, chief justices, and ambassadors. News of the wedding took the front page of the Washington Post’s Society section. However, it was not the guest list or the bride’s dress that made the Pickmans the talk of the town. Rather, it was their unusual honeymoon plans. Honeymoons for members of D.C.’s high society were often leisurely cultural, historical, and social tours of the highlights of Europe – “a round of visits in English country homes, a sojourn on the Riviera, on the Italian lakes, or in the Swiss or Italian Alps." However, with the outbreak of World War I, the Pickmans’ decided to spend their honeymoon volunteering for the Red Cross, which had dispatched a force to Europe at the beginning of the war, even though the United States was not yet officially involved in the conflict. The organization strove to remain neutral, providing aid to both sides. Shortly after the wedding, the couple travelled to New York, and, from there, sailed to Paris. Edward served in the ambulance corps and Hester worked as a volunteer nurse. The application process for the nursing service – a subsidiary of the Red Cross – was particularly arduous, emphasizing that women must be of a “good temper, discretion, and self-reliance.” Women often had to be between the age of 28 and 35; they had to provide recommendations and proof of loyalty, pass a series of interviews, receive proper vaccinations, have proof of birth in the US, and must have a passport. These hurdles often meant that a majority of the women serving were upper-class, educated, and single. Although it was not entirely uncommon for young Ivy League graduates and debutants, like Edward and Hester, to have a desire and sense of obligation to assist in the war effort on the side of the Allies, it was very rare for a married couple to do so openly. The State Department even “decreed that women volunteers could not have a father, son, husband, or brother in the armed services.” Women who applied before their male family member, however, could circumnavigate this. Hester was also younger than the normal age requirement, as she was 21 years old in 1915. This leads one to believe that such restrictions were not in place or not strictly enforced at the time that the Pickmans were serving in Paris. As enjoyable as their excursions may have been, living near the front lines proved difficult and dangerous. There was a constant threat of enemy shells. They had to contend with lice, chilblains, hives, food and coal rationing, and the spread of diseases among other things. Hospitals were crowded and nurses were spread thin, caring sometimes for whole barracks almost singlehandedly. On top of the daily drudge, nurses were in charge of keeping up the men’s spirits, providing entertainment such as dancing. Ambulance drivers were constantly at risk, often having to drive under the cover of darkness to keep from being targeted by German planes. The proposal made sense. Edith Wharton – widely known as the novelist who wrote Age of Innocence – was a close friend of Hester’s mother. She lived in Paris before the war and refused to leave once it broke out. Edith aided in charitable and humanitarian organizations, where she established workrooms and hostels for the French people. It is not clear whether Hester Pickman did end up traveling to Paris to aid Wharton, but it seems likely. Aside from American propaganda promoting service and Hester’s desire to be near her husband, Edith Wharton was known to be widely successful at eliciting her friends’ support for her cause. Edward Pickman served with the US Navy until May, 1919 when he was released from active duty. After the war, he continued his studies in European History, travelling around Europe for two years with his family. When the Pickmans returned to the United States, they settled in Bedford, Massachusetts where Edward had grown up, and raised their six children. ^ Virginia Tatnall Peacock, “Society: Bride and Groom to spend their honeymoon ministering to wounded in Europe’s War Zone,” Washington Post, January 31, 1915. ^ Claudia Swain, “Clara Barton: Angel of the Battlefield,” Boundary Stones: WETA’s Local History Blog, (August 18, 2016), http://blogs.weta.org/boundarystones/2016/08/18/clara-barton-angel-battl..., (accessed January 2017). ^ “Bridal Pair off to war. : Mr. and Mrs. Edward Pickman will help the Red Cross in Europe,” Washington Post, February 1, 1915.
a, b Nancy O’Brien Wagner, “Awfully busy these days: Red Cross women in France during World War I,” http://collections.mnhs.org/mnhistorymagazine/articles/63/v63i01p024-035... (accessed January 2017). ^ Nancy O’Brien Wagner, “Awfully busy these days: Red Cross women in France during World War I,” http://collections.mnhs.org/mnhistorymagazine/articles/63/v63i01p024-035... (accessed January 2017). ^ Edward Pickman to Hester Pickman, 1915, United States Naval Academy Nimitz Library, Edward M. Pickman Papers 1912-1950, Series 2: Correspondence, 1912-1950, box 2, folders 5-6, http://cdm16099.contentdm.oclc.org/cdm/compoundobject/collection/p16099c... (accessed January 2017). 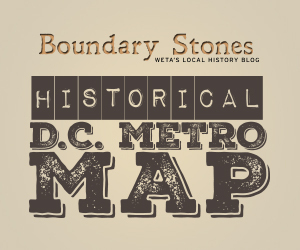 ^ Mark Jones, “Remembering Arlington’s John Lyon,” Boundary Stones: WETA’s Local History Blog (November 11, 2015), http://blogs.weta.org/boundarystones/2015/11/11/remembering-arlingtons-j... (accessed January 2017). ^ “Wedding of Miss Moore to Lieut. C.E. Delaplane is solemnized quietly at home of the bride’s mother,” Washington Post, August 3, 1915. ^ “U.S.S. Wainwright,” Destroyer History Foundation, http://destroyerhistory.org/early/usswainwright/ (accessed January 2017). ^ Molly Guinness, “Edith Wharton – The American novelist who joined France’s WWI effort,” Radio France Internationale (January 20, 2011), http://en.rfi.fr/visiting-france/20110120-edith-wharton-paris (accessed January 2017). Newspaper magnate Joseph Pulitzer married Kate Davis, a cousin of Confederate President Jefferson Davis, in Washington in 1878. For Washington socialites, the most anticipated event of the winter season arrived on January 19, 1903. Things did not go as planned.